Don't forget: our Saturday Night Live thread will open at 11:15 Eastern tonight. 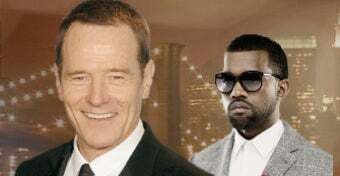 Bryan Cranston will be our host, and Kanye West will be our musical guest. A promo, after the jump.